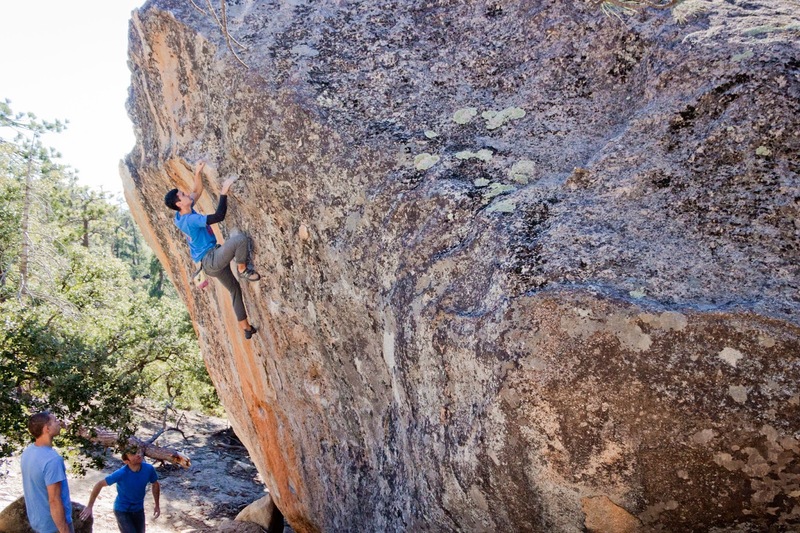 This past weekend Itai and I headed out to Black Mountain for the first time in a while. We met up with Isaac and a few of his friends, and had a fun day exploring the OK Corral. Isaac was a solid tour guide, and managed to get us all excited about the area even though temperatures were far from ideal. Not long after we climbed the classic Dan Osman Arete I found a short crimp line that hadn't been done before. It added two hard moves to an existing stand start. 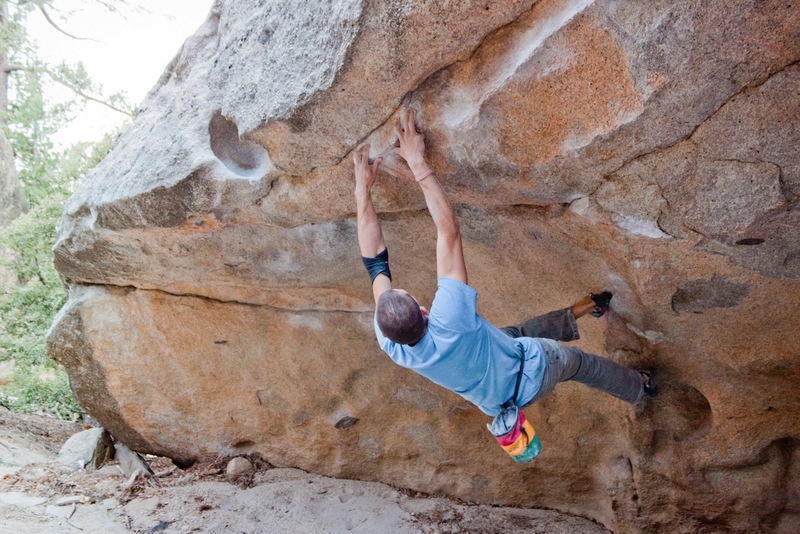 The first move is the crux, and it involves a dead-point to a small edge. From the edge you throw to a jug rail, hold the swing, and top out. After a relatively quick, but hard fought session I managed to piece it together for a first ascent! I speculate that it's in the V10/11 range, but a sandbagging downgrade second opinion would be very welcomed. I decided to name the climb Transitory State, because this winter season has been so absurdly fleeting. 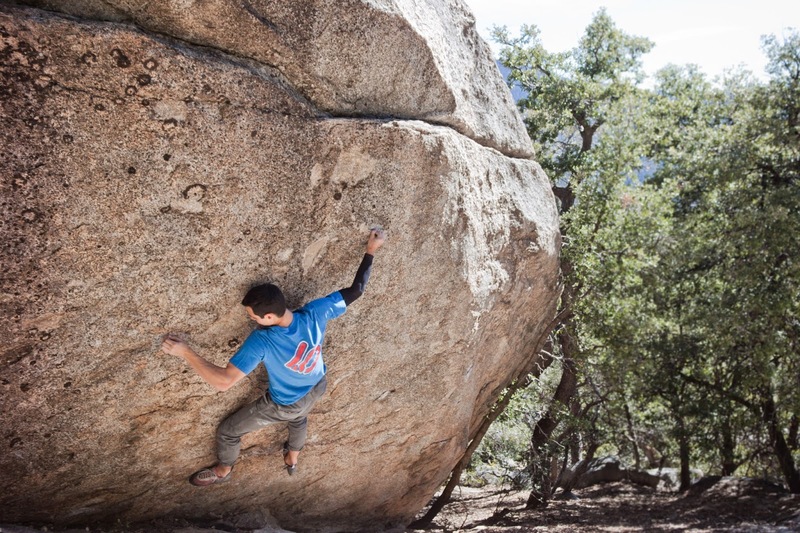 After the session on the project, we headed down to the lower OK Corral area to scope out more blocs. 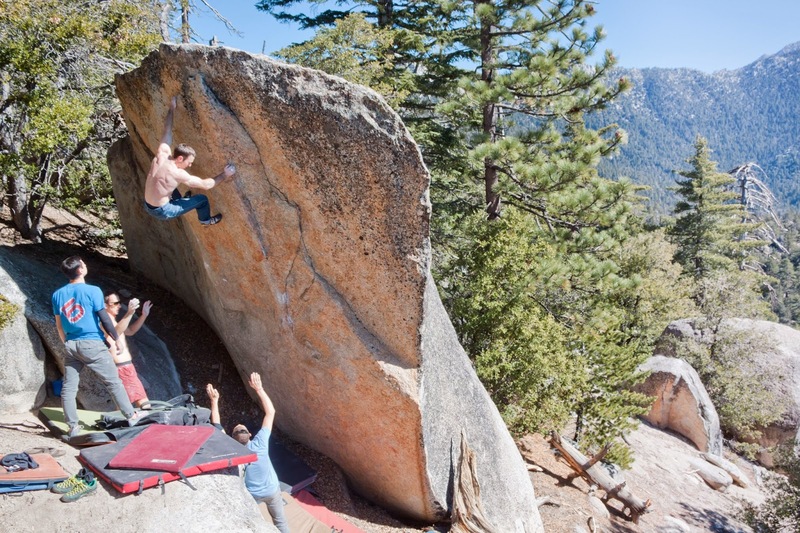 Isaac's tour only got better when he showed us the Hueco Wall (V3) and Loh Roof (V8), which were both crowd favorites. Here are some photos from the afternoon session. It's been a while since I've been back to Black, but I'm sure I'll be up there again very soon. Hey Itai and Eden! Love the blog. Quick question for you. I'm planning on hitting Black Mountain this weekend, February 12-14, and just wanted to make sure the road to Black Mt was open. I mean it would seem obvious since you just posted this but, who knows, could have been an old post you made that you guys just decided to put up. I called the ranger station to ask about the road but they are closed on Thursdays...Anyway, can you guys confirm the road is open? Thanks so much! Hey! Sorry for the late reply. The road to Ok Corral is open, however, you need lots of clearance because it's in poor condition.